Dirk Jagdmann, also known as doj. 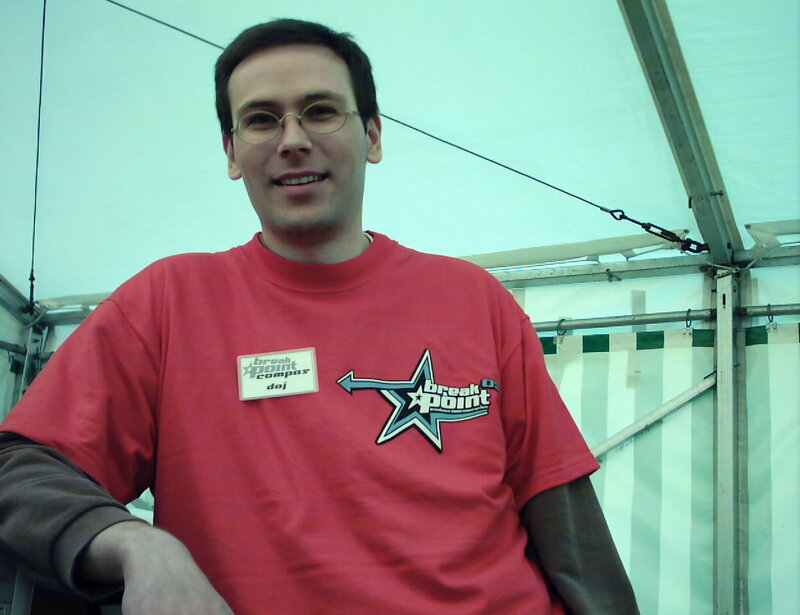 The picture was made at Breakpoint 2003. Currently I'm living in Santa Clara, California and am developing software to pay my bills. In the previous years I have contributed to several projects related to the demo scene. Here are some links to the really important stuff. I have founded the group Cubic which made several scoring productions. Currently Cubic is inactive and I think it will stay inactive. I have helped Elitegroup to win TP99. Then I was forced to join Farb-rausch, because I was helping with fr-08: .the.product. I was organizer of the now defunct Mekka/Symposium since 1996 and Breakpoint 2003. My current projects and tools are labeled as Linux Lighting Group. My second homepage with detailed information on my professional software development. Long ago I wrote some texts about what I did (mostly computer related) in the years 1988-1998. Perhaps I will update these texts somewhere in the far future. In 1991 I purchased a software from the Commodore Computhek line I have not used so far. An overview of the different version of the Assembly 94 CD-Rom. And in the late 90's I started a collection of the really bad book C64 - Programmieren in Maschinensprache. And while we're at c64 I have the manual of the Magic Voice cartridge. Then I have some informations about various C64 related books and a Star Commander FreeDOS bootdisk plus Ship Classifications for Pirates. An extensive collection of links and tips on the SID can be found on doublesid.de. Some texts I have written during my schooltime and a nice presentation for students at my University about Audio Synthesis. Eventually this led to my diploma thesis. I have also made an OpenGL Demo called NiX together with my friend Michael. If you want to puzzle your brain have a look at doj's paradoxon. I have compiled a list of real world places of the german Three Investigators audio plays. In Summer 2003 I visited the USA. 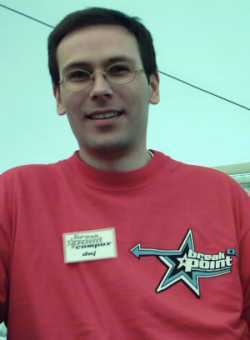 At Breakpoint 2003 I performed with other musicians in the traditional Live Jam. And 5 years later I got disappointed by the Line6 Pocket POD. Like every good demo the DemoDVD also contains some hidden parts. A text describing how to set the MTU in Windows. My overview of the Siemens MX300i series. My LEGO builds and reviews page. to doj@cubic.org and tell me what's your mind. my .emacs configuration, my .screenrc, my .gdbinit, .Xmodmap, Firefox user.js, Thunderbird user.js. Further copyenv to install my configs on a remote machine.